Our ocean freighters frequent both the Valencia and Barcelona ports which allow access for onward transportation into the rest of Spain. From one of these two ports, we transport your cargo to its final destination either via road or rail-road service. There are more than 20 cities in Spain with a population greater than 200,000 and a large portion of our international shipments and services to Spain end up in Madrid, Barcelona, Valencia, Seville or Malaga. For any other city or town in Spain you need goods shipped to from the U.S, there is a good chance Schumacher can get them there. The best way to determine whether that would be possible is to contact one of our experts at 800-599-0190. 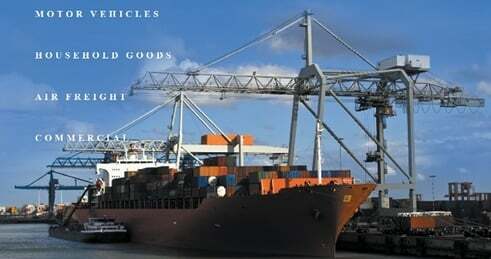 Generally, our international services to Spain deal with either household relocations or overseas vehicle shipping. When individuals or families move overseas to Spain, they find it easier to ship their car from the U.S rather than try to buy one after arriving. There are certain regulations that must be met and customs requirements for shipping a car to Spain which our resource points out. Under certain circumstances, we also ship specialty goods and other types of items that won’t fit inside a standard container. There are many things to consider when pricing an international shipment. Costs will vary by carrier but there are some variables to look at to get an idea about the costs associated with using an international shipping service to Spain. For instance, depending on where your cargo is leaving the U.S from will influence rates. International shipments from the east coast will be cheaper as it is a few thousand miles closer to your Spanish destination.